The rise in the number of people being diagnosed with nearsightedness in the US has led to a rise in contact lens use, one source has claimed. According to TMCNet, studies show that the rate of nearsightedness diagnoses has soared to 41.6 per cent, leading to Americans spending an annual average of $31.7 billion (£19.8 billion) on vision products and services, including glasses and contact lenses. 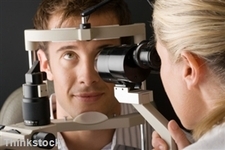 "The rate of nearsightedness in the United States has rocketed 66 per cent in the past 30 years, which means more Americans are shelling out for eyeglasses and contact lenses," the source stated. It advised that people who do require contact lenses consider purchasing them online, as it is often far less expensive than buying them from an optician or high street store. Meanwhile, a recent report conducted by the American Optometric Association showed a gradual shift in optometrists" approach to vision correction as children get older, with 21 per cent noting that they are more likely to prescribe ten to 12-year-olds with contact lenses than they were a year ago.